A classic Bellingham neighborhood that’s close to everything with a fantastic, vibrant community. 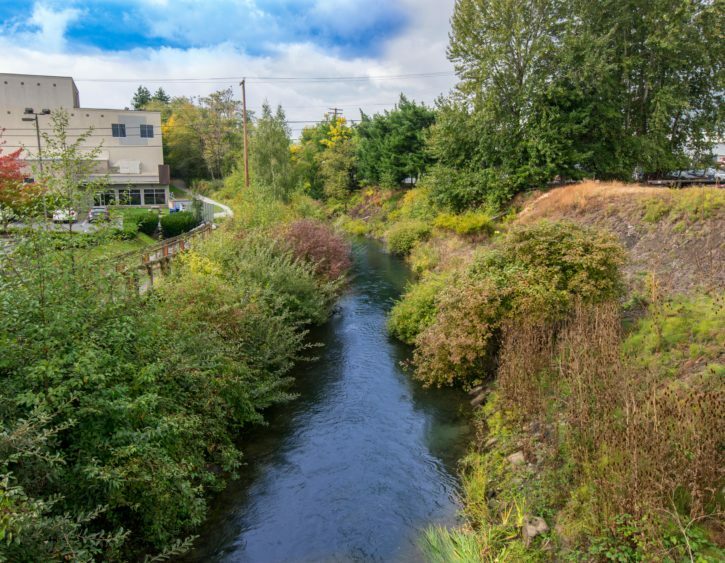 Nestled right on the outskirts of downtown Bellingham, this hub of convenience is close to fabulous restaurants, excellent shopping, PeaceHealth St. Joseph Medical Center, Interstate-5, and much more! The best part, however, are the fantastic community spaces centered around local businesses and culture. Families gather at breweries to try the latest food truck, or grab breakfast together at Homeskillet while catching up with the neighbors in the large, friendly spaces. The community-focused outdoor dining culture celebrates unique cuisine and the local economy; food trucks are a special favorite of the area. Friendly neighbors spread an inviting vibe, and the quiet rows of homes welcome you to settle in and make new friends. Many of Sunnyland’s residents are especially passionate about their community, and it’s a joy to explore the sidewalk-lined streets in the residential area. Vegetable and flower gardens fill yards, and neighbors aren’t shy about their passions and hobbies, often installing gorgeous artwork for the community. 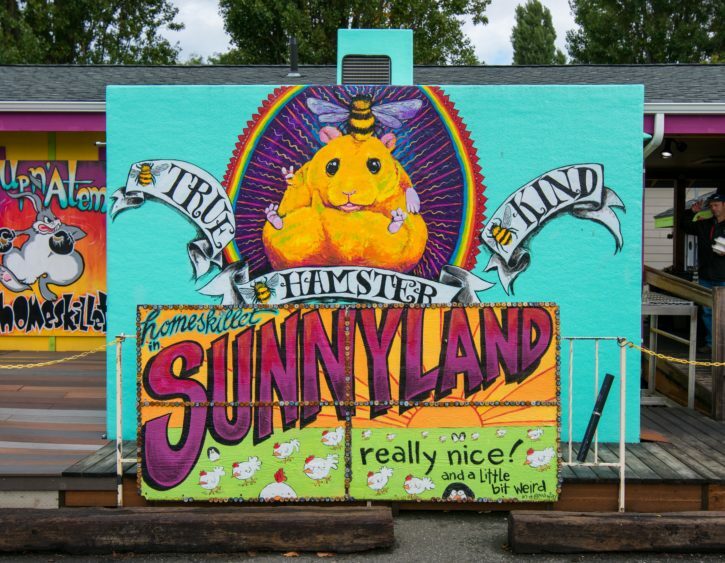 Sunnyland is a joy; a parklike gem tucked away in the middle of everything that celebrates its community culture. A fantastic community in the heart of Bellingham with everything within reach. For dining, places like Wander Brewing, Homeskillet, Akroteri, Bellingham Bar and Grill, and Kulshan Brewing (plus whatever food truck happens to be there! ), are all recommended by locals. When it’s time to run errands, a long list of shops and services are in the neighborhood, including places like a seasonal farmer’s market, Trader Joe’s and Hardware Sales. Lovely parks and schools are scattered throughout, with playgrounds galore for the little ones. The robust surrounding economy provides quick commutes and plenty of jobs without venturing far from home. 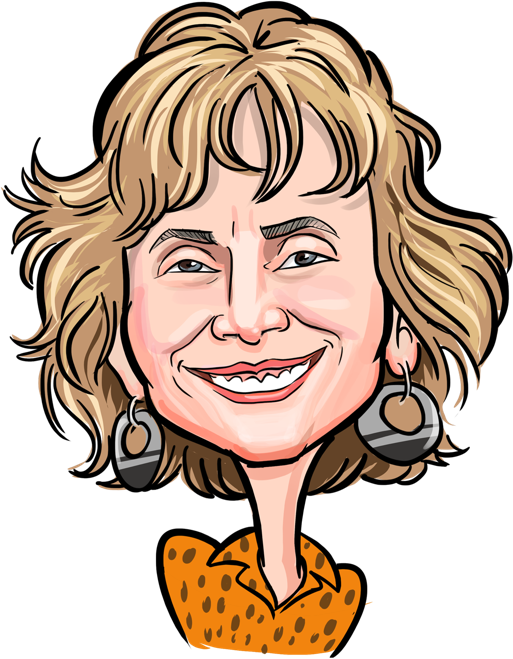 A quick trip out of the neighborhood takes you downtown, to the freeway, Bellis Fair Mall, or the waterfront.